Tropical Pressure Festival: Maddie Meddings — Sailaway Dress Co.
Those who are lucky enough to meet Maddie Meddings know she’s a girl full of substance with a twinkle in her eye. Not only does this free spirit rip in the water, she’s a seasoned traveller with a fair few countries under her belt, and brings ultimate joy to anyone she meets. Maddie has been at the core of the Sailaway team since the beginning, so when we heard she was returning to the shire for summer after her adventures in Australia, we were delighted to get her back on board to represent our brand in the unique way she always does. Maddie is talented with a camera in hand and will be capturing some magic for us over these coming months. Keep an eye out for this sparkly soul at upcoming festivals and be prepared to be swept off of your feet. "As soon as I knew I'd be on British soil for the summer, there was one thing I had in mind for summer work; the Sailaway Dress Company. I've worked for Holly at various festivals over the years, and I couldn't wait to be back with the wonderful Sailaway crew. 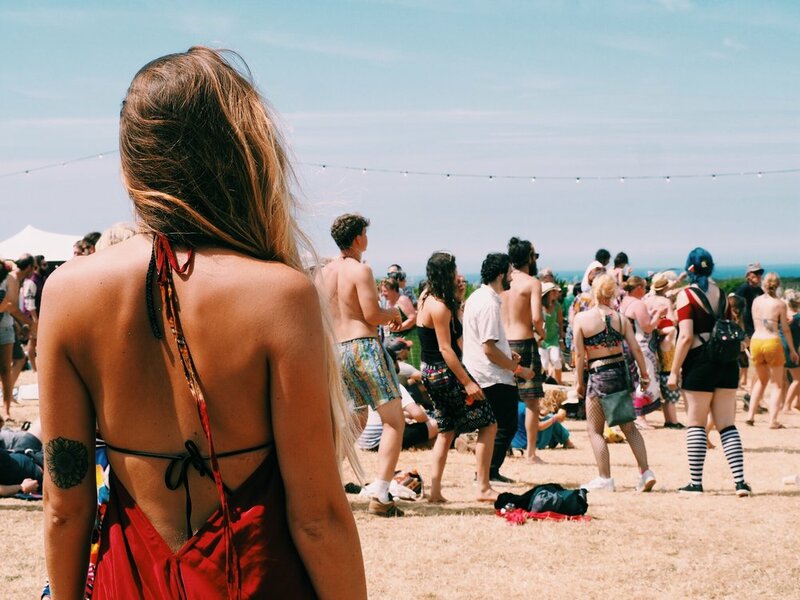 Luckily for me, Sailaway has a jam packed summer of festivals, the first of which was Tropical Pressure Festival based in Porthtowan, Cornwall." "Tropical Pressure is an amazing little boutique style festival that celebrates the cultures of Africa, Latin America and the Caribbean through music, food and style. 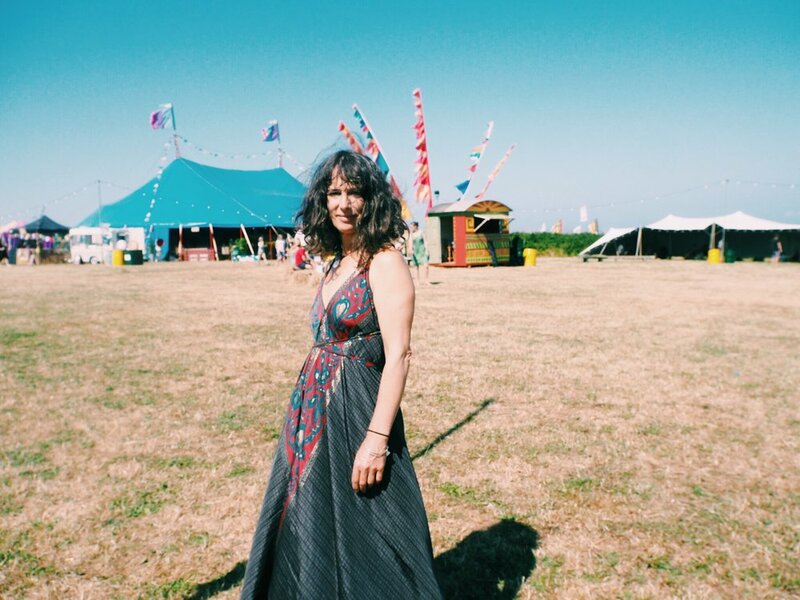 It's situated on a 42 acre ecological park on the Cornish Coast, with views of the glistening ocean from the festival site. The beautiful decor, colourful archways, bright flags, intimate dancefloors and eccentric people combined makes it a feast for the eyes. Plus the fact this weekend was an absolute scorcher weather-wise did wonders." "The festival has such a great atmosphere with a varied crowd. There's a mixture of parents, grandparents, young adults, and children, each enjoying it just as much as the next. There are activities to suit everyone, including wellness and yoga workshops, many of which encourage the little ones to come along and join in next to their parents." "The food is completely vegetarian and absolutely delicious. There was tonnes of variety from dumplings to deli pops, and my personal favourite; the good old Montys Caribbean who's restaurant is just down the road from me in Barnstaple, and has been a favourite for years. They offered all kinds of goodness, from pulled jackfruit, to rasta channa, to bbq'd sweet potatoes." "The Sailaway pop-up stall was bustling full of babes all weekend thanks to the beautiful sunshine glowing each day from dawn to dusk. The glimses of sparkle that the dresses create in the sun make for the perfect festival attire. By the end of the weekend women dressed in Sailaway were everywhere and owning the dancefloors, each one looking just as carefree and unique as the last." "All in all, Tropical Pressure is a fabulous event and I highly recommend going if you're looking for a smaller scale but completely breathtaking festival. A special mention to the other girls who made the weekend one to remember, and to Catch the Sunrise and Eco Stardust for being brilliant festival pop-up shop partners." You can view more of Maddie’s work here. Posted on July 23, 2018 by Holly Madge.